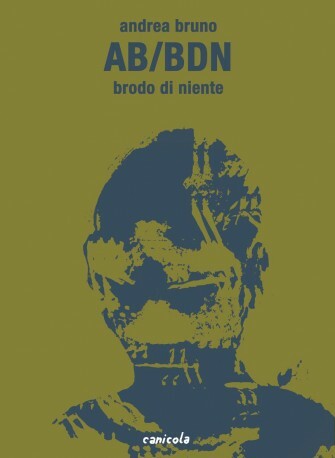 Andrea Bruno's latest release from the Canicola collective, Brodo Di Niente (which I think is Brodo of Nothing) will probably remind many of Gipi's Notes From a War in its treatment of the effect of wartime lawlessness and urgency directly and indirectly on the lives of young people. The work it most remind me of is Lorenzo Mattotti's Murmur. That book was one of the first I read in an attempt to broaden my reading of European comics in a way that's now much easier than it was then, and Mattotti's art, like Bruno's here, was so overwhelming in its ability to communicate theme and effect I almost couldn't read the text. Murmur was "dubbed," with a translated text; Brodo Di Niente is subtitled, with Canicola's clever translations across the bottom of each page. I know both approaches work, so it's really the quality of the art itself that keeps me from fully integrating the experience. In other words, if this comic contained a lobotomizing device that shot from its page and penetrated your brain until no comprehension of the text were possible at any time, I'd still recommend it for Bruno's art. The inky effect is noticeable from the start, but as you begin to delve into it, you see how deftly Bruno manages variation of style within his character work, backgrounding and foregrounding despite the impressive amount of electricity the flat surfaces generate, sublimely confident choices when it comes to staging, particularly in keeping visual interest while building a scene out of mundane story elements. I can't even tell if this is a real place or an imagined, extrapolated Italy with its feuds and monster-like institutions leaning heavily into frame, but the gut feel of the moment to moment interactions roil across the page with power and intensity and counter-intuitive clarity. I'm not sure I'm ready to review this work yet, but don't let that stop you from seeking it out.